For a whilte now, my inspiration for making cards have been gone. I guess that it got a little bit too much before Christmas with all the Christmas cards and the brithday cards I made as a gift for my sister. Late january and early february start with some birthdays and a newborn baby. I had to make some new cards. It’s out of the question to buy any; I have so much crafting stuff that I need to put into good use. Slowly, as I started on my first card I found some well hidden inspiration. In pure happyness over this newfound inspiration I called mum and asked her if she wanted a card she could give to my sister, who’s got her birthday on sunday. Well, I didn’t put it like that, I just asked her if she needed a card for the weekend. She said yes. Little did I know that she said yes, that she was talking about a card for a friend of my parents. It was some confusing seconds until everything got cleared. And suddenly I got two cards to make; one for my siter and one for my parents friend. A friend of mine got a girl late in January. I made her this girly card – to match the girly name Madison Tate. For my sister. This card is going to be from me. I bought some die-cuts a few weeks ago. Well, my colleague Sigrund bought it for me actually. 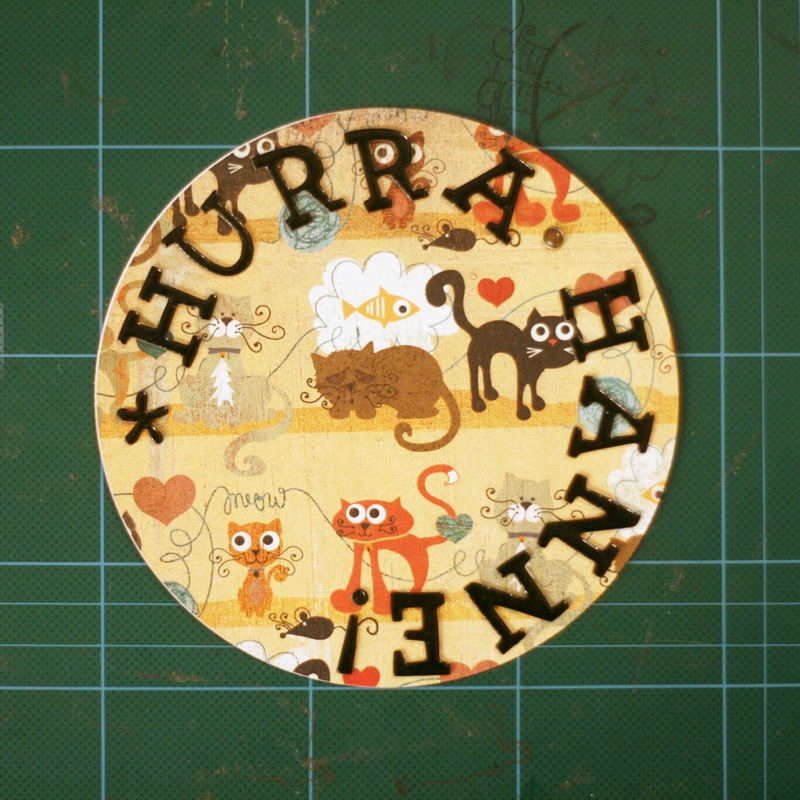 I love the circle die-cuts; they are awesome. The package contained 21 pieces I think. 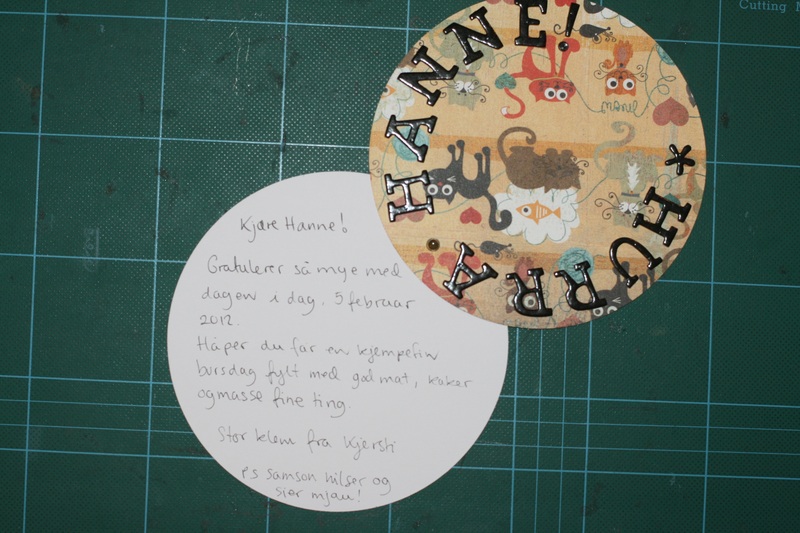 Another card for Hanne. Very simple this too. But you know me – I love simple cards. This card is for a friend of my parents. He’s a hunter; every year he go moose-hunting. I knew I had to make a green card with a moose on it. 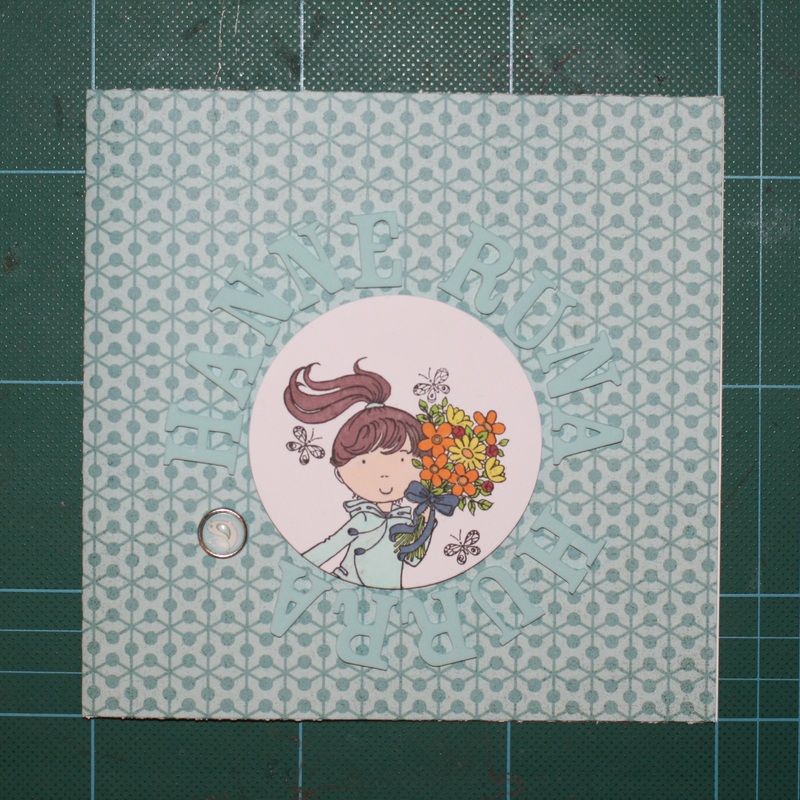 I love to make card that reflects the person getting; letting the card say something about them. It’s not always easy, but I try my best. The text on the card says ‘big boys celebrates their birthday too – happy birthday’. 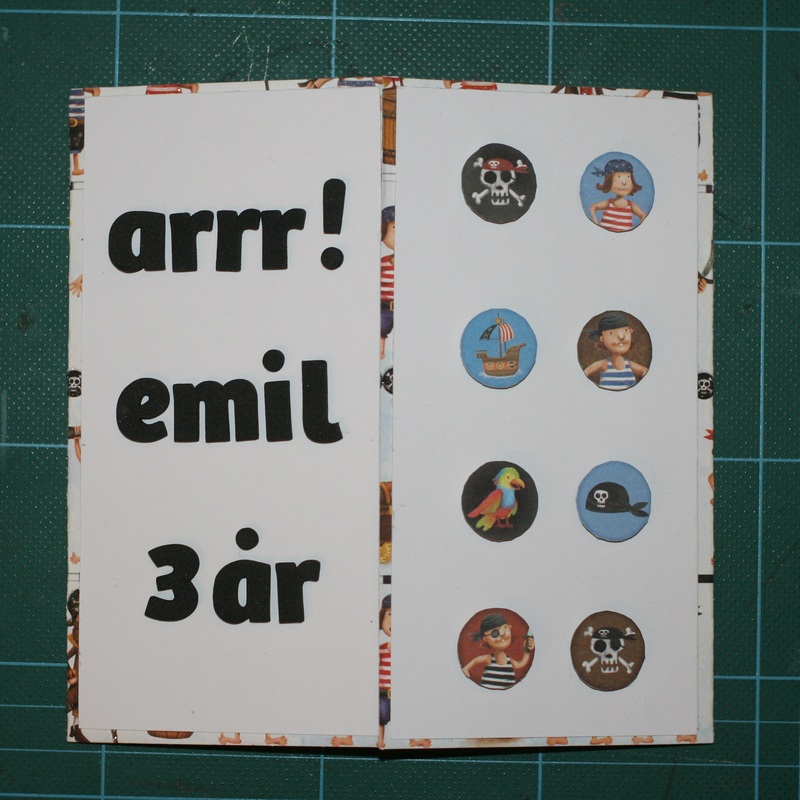 And last but not least; a birthday card for my nephew Emil. 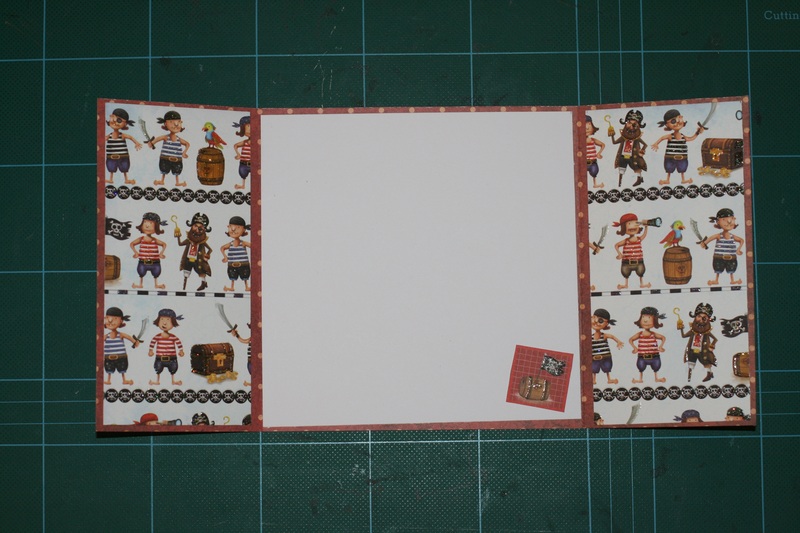 It’s not his birthday until March, but I found this awesome pirate pattern paper at Panduro and I just to make something of it right away. This card is different than most cards I make. I got the idea from Sigrund. She showed me a card she’d made and I instantly wanted to try it out myself. I really like cards with ‘wings’ and will try make more of them. My nephew Emil, he is very into everything pirat-y. So I had to make him a pirate card. This time I’ve even putten pattern paper inside the card; never done that before. So what do you think? Do you like them? Would you be happy getting such a card from me? Again something happened while I was making one of the cards; it was one of my sisters cards. I needed a color to color something on the card and I wanted it to match the color of the pattern paper. That proved to be hard. I didn’t have the exact colour that I wanted. I did find a colour that almost fitted, but it wasn’t perfect. So yet another time, was I looking at the colour chart picking out what my next colours to buy would be. So far I’ve just written down the names. I need to wait after my salary comes in before I can buy anything (my dentist ruined me!). It itches in my fingers to go buy them right now. But I’m telling my self over and over gain; be patient! I’ve come to the conclution, that I actually was afraid I would come to; I need all the colors there is. Promarker pens have over 100 different colors, at least; I’ve lost count.